The Barça players trained in the awe-inspiring stadium in Dallas on Monday, in what was Ter Stegen's first session with the team this summer. Check out the reactions as the squad see the huge Texan venue for the first time! 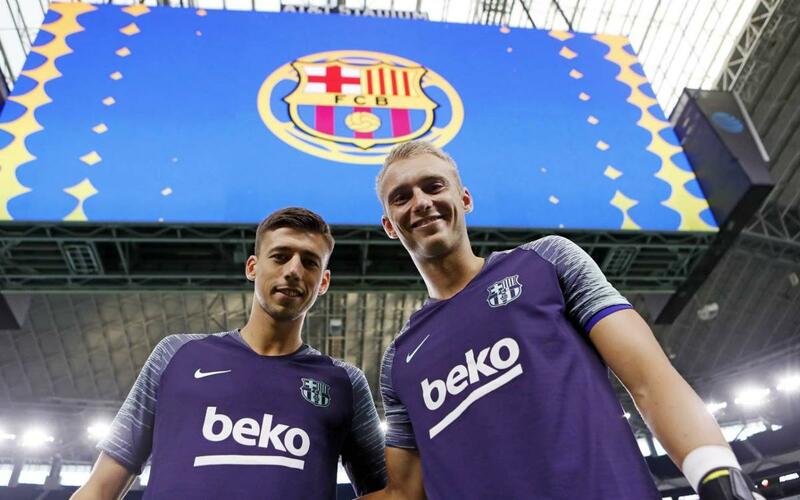 The imposing AT&T Stadium in Dallas is the latest base for FC Barcelona on their U.S. tour, as the squad prepare for their International Champions Cup game on Tuesday against AS Roma. In the following video, we go behind the scenes in Texas for the first training session there. The reactions from the players speak for themselves, as they were amazed by one of the most spectacular stadiums they have ever visited. The session itself also saw the return of Marc-André Ter Stegen.